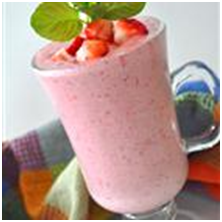 This is a fast and filling vegan smoothie with a deep pink color and a rich, creamy texture. 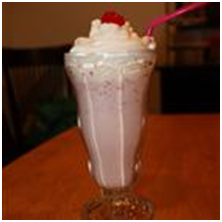 This strawberry shake is made with both fresh strawberries and strawberry ice cream, blended with milk, sugar and ice. 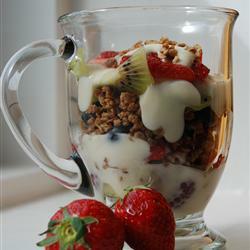 This large parfait can be made for a delicious breakfast - or it can be halved for a yummy snack. Enjoy it using fresh or frozen blueberries, but fresh strawberries are recommended. 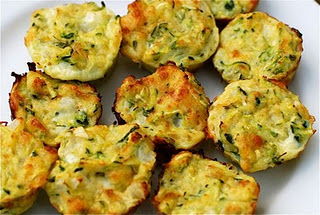 Savoury, bite-size treats that can be enjoyed as a snack or an appetizer before a meal. Fruit, seeds, and nuts are mixed together in this flavorful snack mix. 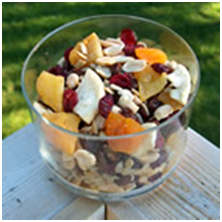 Fruit, seeds, and nuts are mixed together in this flavourful snack mix. 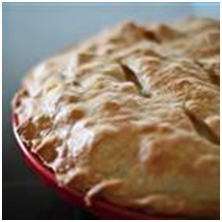 Nothing beats a homemade turkey pot pie filled with leftover turkey, vegetables, and spices. 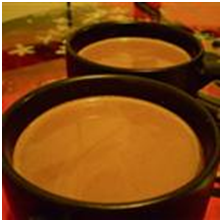 A great tasting vegan hot chocolate. For the best results use plain soy milk. 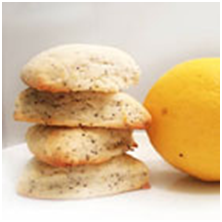 Delicious lemon poppy scones that happen to be vegan. Note, this recipe can be changed up quite easily. And the proportions are pretty forgiving, too. 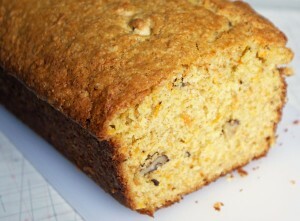 This recipe uses grated raw sweet potato and chopped walnuts. You could alternatively bake the batter as muffins: Prepare as directed, then divide among 12 greased or paper-lined muffin cups and bake at 400°F for 20 to 30 minutes.